Your Cape, LLC is there for you and your family whenver you need an extra pair of hands to get something done. We have attempted to outline a variety of tasks and activities that you may need help with, but you certainly are not limited by our list. If you need help, give us a call today 720-206-5245. Gift Certififcates Available! Give someone important in your life the gift of time. Perfect for new parents, someone recuperating from surgery, a busy executive, a new homeowner, and more. Wishing you had an extra pair of hands? Well now you do! Your Cape, LLC is there for you when you need to get ‘it’ done. Whatever ‘it’ is, we can help you around the house. 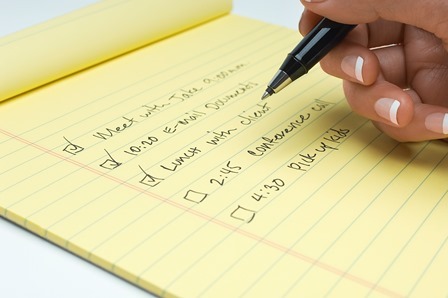 From helping prepare for a dinner party to organizing your closet we will help keep your to do list under control. Keeping an organized living space can be a challenging task especially in this day and age when work seems to follow all of us home. We can help you keep organized. Did you forget that you ran out of dog /cat food last night, and may not be able to make it to the store in time to get more? Do you need to get a gift for that white elephant exchange? Our services can handle everything from picking up dog food, and, to picking up/ dropping off dry cleaning, to picking up items placed on hold at your favorite store, or picking up your furry friend from the groomer. At Your Cape, LLC, we know how time consuming the whole moving process can be, especially for busy families. First it starts with packing up your old house, so many boxes, and labels to be written, and then there is the cleaning of the new house before you move in with all the vacuuming, dusting, wiping down of cupboards, and windows. And then you finally get moved in, and there are all those boxes again that need to be unpacked and put away. Not to mention, have you notified family and friends that you have moved, and the post office has your forwarding address? Your Cape can help ease the frustration of moving and help you with all the packing and unpacking, cleaning and change of address cards that need to be sent. Moving just got a little easier with the help from Your Cape errand service. Whether you are going out of town for a short weekend trip or if you are going to be leaving the country for an extended time, there is no reason to worry when you contact Your Cape, LLC for house sitting around Denver. 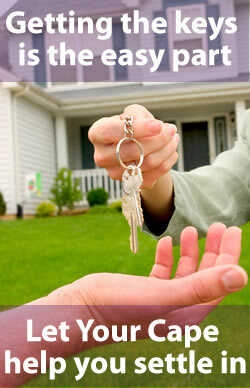 You can have a piece of mind that at an affordable price your home is being taken care of when you contact us. Our expert house sitters understand your needs and we are ready to help you 7 days a week. If you have a time preference, let us know and we can take care of everything from there. Our expert house sitters will secure and inspect your windows and doors, monitor for any water leaks, complete appliance checks, check the interior and exterior of your home for any damage or other issues, manage the heat and air conditioning, and water your plants and flowers as necessary. We can set up lighting timers and will even manually turn lights on and off for that “at home” look if you would like. We can manage your answering machine- take a message and call or email you with your messages, we can even return messages if you would like. We will sign for any deliveries that you have, manage your mail, send out bill payments, and even handle your newspaper collection. We can even restock the refrigerator so it is all ready for you when you return home. If you have other tasks that need to be done, let us and we will take care of it! Are you going to be gone for a long time and worried your car won’t start when you get back? Not to worry, Your Cape LLC can start your vehicles for you so you will be ready to go when you get back home. We can assess property damage and take photographs and email them to you. For an additional fee, we will shovel sidewalks and driveways within 24 hours of the snow stopping. Light seasonal yard work can also be done, i.e. – raking leaves, pulling weeds. When asked what is your least favorite errand to do, grocery shopping is always at the top of the list, followed by an “UGH!” There are many reasons why grocery shopping is the least favorite task of all. Maybe it is the fact that you know that you will have to take your kiddos with you, and you know that is going to be followed with bribing them to stay in the cart, or not to take the things off the shelf, and not to mention pushing the big sibling cart around the store will add time on to your trip to the store. Or maybe it is the fact of not wanting to deal with all the people in the store, or the last minute shoppers on the way home from work. Maybe it is the fact you’re not feeling well, but you need to go pick up some medicine and your favorite soup. Then when you get out to parking lot, you have to unload the cart, deal with the loose carts in the parking lot and hope none of them have crashed into your car. And then there is the unloading and putting away of the groceries. Your Cape, LLC understands the frustrations of grocery shopping, and we are here to help you! We can help you get your groceries for your family and even for the seniors in your life that may not be able to get to the store themselves. Whatever the need is, just give us a call and we can handle the rest! Have you had that moment during the busy holiday season where you have list a mile long, and no end in sight? Not to worry, let Your Cape help you with that list. We can help with addressing your holiday cards and mailing your cards and packages. Do you have a stack of gifts you have yet to wrap? Leave it to us, we can wrap them and have them ready for the tree in no time! Let Your Cape help you have a less stressful holiday season by leaning on us for that little extra help we all seem to need during the holidays. Do you have a stack on the counter of movies that need to be returned, and over due library books, along with the present you got for your birthday that just wasn’t you, that needs to be returned? We understand how busy life gets and before you know it all the little things are stacking up, but when are you ever going to have the time to take care of them? Give us call, Your Cape can save you the hassle of fines for library books and extra charges on those movies you need to return. We will even pick up your movie and library holds for you. Life just got a little less chaotic with our number in your pocket. As pet owners ourselves we know how precious your pets are to you, so you can be assured that your furry friend will be in good hands. We can feed and take care of your dogs or cats, aquarium fish, and other smaller animals. We can do several check in’s during the day to play with your kitten or walk your dog. If there is ever an emergency with your pet, we will contact you right away and/or take them to a veterinarian of your choice. Have you ever caught yourself being away from home longer than you thought would be gone, and knowing your pet needs to be let outside? 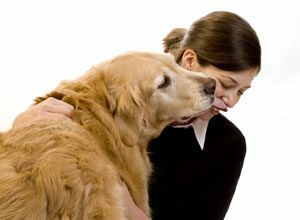 Give us a call, we can give that much needed relief to your pet. At Your Cape, we understand the time commitment families have when taking care of a senior family member. A quick trip to the store turns into hours, mobility starts to slow down so they may not be able to tidy up the house like they used to. Or you may be worried that you’re leaving town and your loved one is on their own for awhile. We will be more than happy to stop by for a senior visit. We can bring in their mail, go to the store, do light house keeping, shovel their walks, or just stop by and give them someone to talk to for a little awhile. Give us a call, we can help ease your mind. After living in Colorado over the last 30 years, we have developed deep relationships with service related business and can make quality recommendations for your needs. If by chance we do not have someone at the ready, we can do the research and legwork for you so you can make an informed decision about your next project. We will be happy to look up and verify licensing information, Better Business Bureau records, and other information regarding your next service needs.